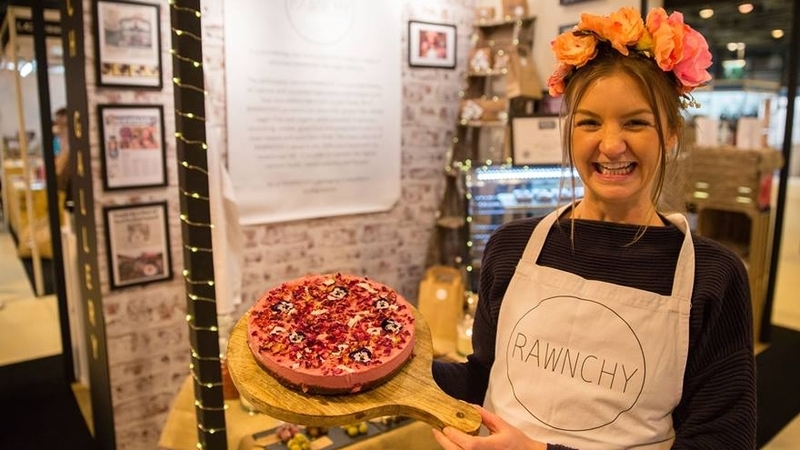 Rawnchy is a pioneering food brand that creates a beautiful range of raw desserts. We do wholesale, occasion cakes and have our very own coffee and cake shop too! Our philosophy is to provide all-natural tasty treats that are good for your body and health. AND organic where possible, to give you nourishing, simple, good food. Our brand new coffee and cake shop is now OPEN on Maryhill Road, Glasgow (right next to St George's Cross subway station!) We are known for incredibly insta-worthy interior (hello Wes Anderson!) and of course our famously stunning (and absolutely scrum-diddly) cakes. We have also now launched a small savoury menu featuring a soup bowl, hummus bowl and antipasti board. All vegan and gluten-free!